Loving Pets’ primary concern is your pet’s health. That’s why our Pure Buffalo 100-percent Natural Dog Treats contain no additives or preservatives. In fact, they are made from the finest quality free-range, grass-fed buffalo available. No worries about disease, hormones or antibiotics. 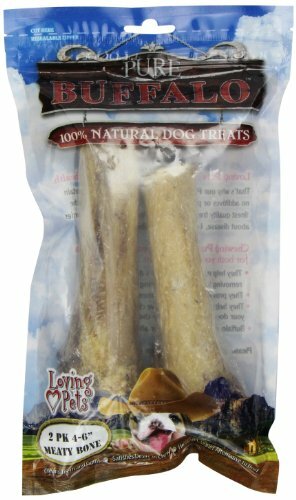 Pure Buffalo 100-percent natural dog treats are available in many varieties and sizes including bones, bully sticks, braided sticks, meat strips, knuckles and lung steaks. I get a lot of marketing messages that promise the ‘absolutely best, no brainer, one-size-fits-all, can’t lose’ strategies; I’m promised they’ll work, regardless of industry, budget or target audience. I’ve always assumed they’re pretty much garbage. Until I realized I’ve been using one of those, with great success, throughout my business career. And, like so many other tools I use successfully, this one came from Mom; I’ll bet your Mom (or your Dad or Grandparents) helped you learn this amazing, can’t fail marketing technique, too.